Weighted at your fingertips for precise drafting & template work. 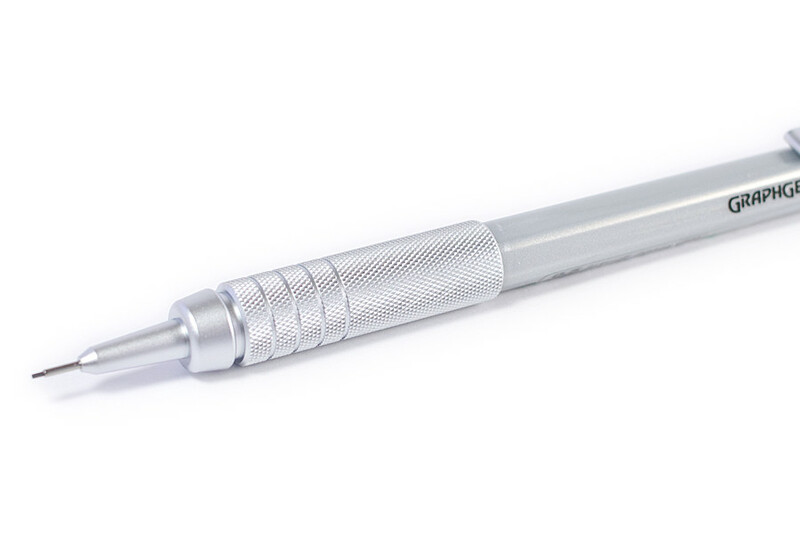 Metallic mesh grip on a slim, beveled barrel promotes a great control when writing. 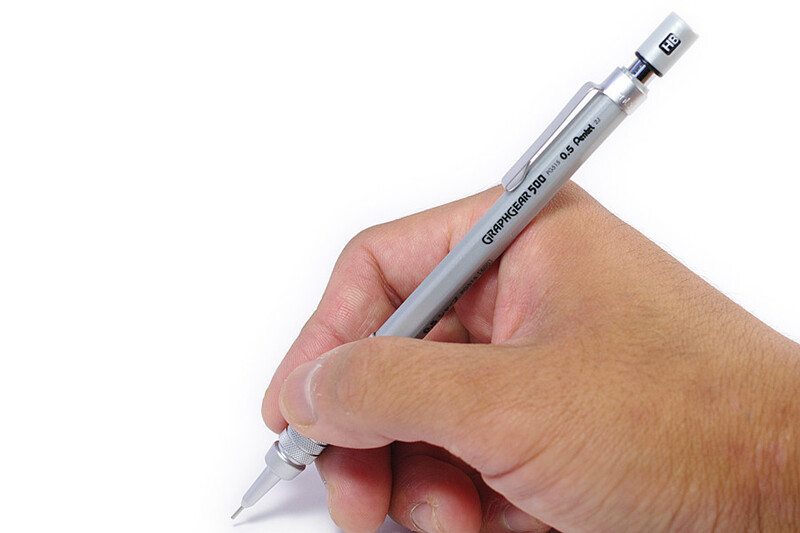 4mm tip design makes it ideal for use with rulers and templates. 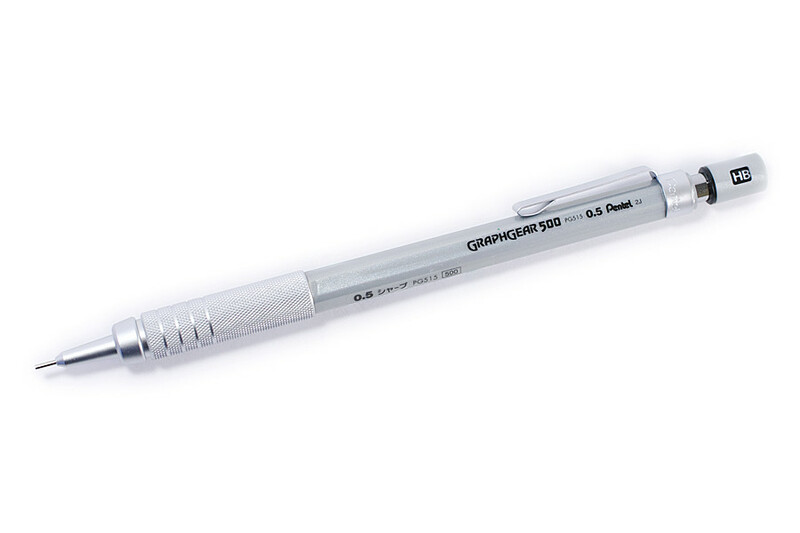 Pre-loaded with Pentel Super Hi-Polymer® HB lead; never needs sharpening, is super strong and produces a clear dark line. 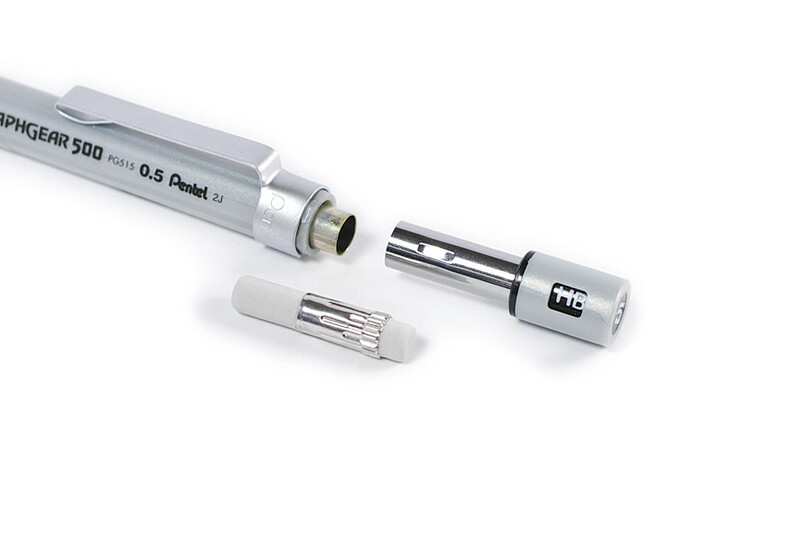 Check the other range of lead size. 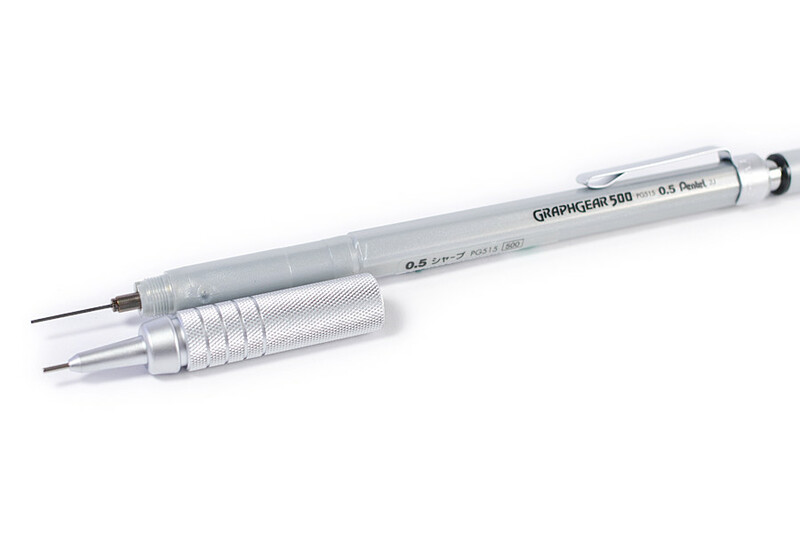 Check the other range of Pentel Graphgear series from here.